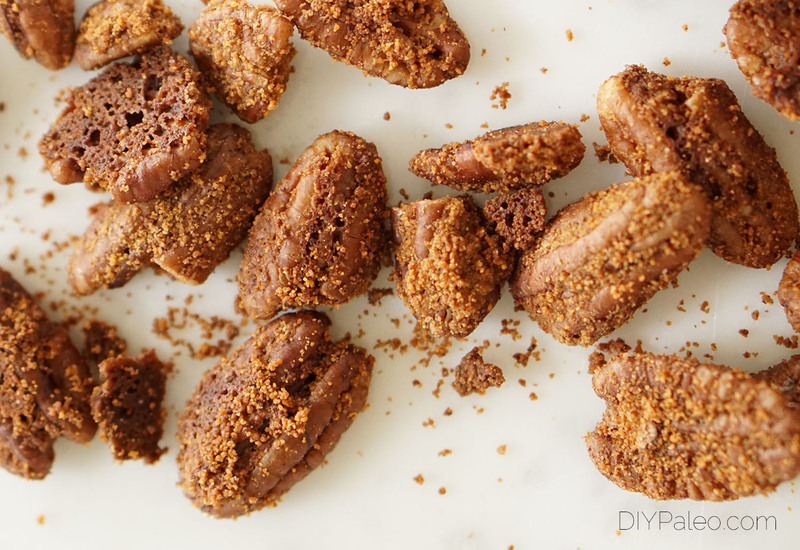 Candied pecans are one of those things I always crave but almost never make. Maybe my shoulder angel is getting good at convincing me not to increase my sugar intake at every possible opportunity. Maybe I’m lazy. Who knows. I made candied pecans as Christmas presents this year, but giving them away felt the way I imagine a mother feels while watching her 5-year-old totter off to Kindergarten: kind of sad, but fully aware you’re better off without them (and they without you). I’m trying to limit the amount of sugar I consume lately, which is going about how you’d expect it to. I’ve stopped putting honey in my tea, even though tea without sweetener tastes like hot water to me. People that prefer their tea sweetener-free mystify me. Are my taste buds numb to the real taste of food and drinks? Am I no better than those 86% of mice that choose sugar water over cocaine water? Will I ever be able to taste green tea? It made me feel a little better that everyone who received said candied pecans also devoured them as quickly as I did. My mom reported, with disdain in her voice, that my brother had eaten nearly all of them himself (to be fair, Mom admitted to eating all of the gingerbread cookies). And then I went hiking with my friend and she decided it would be a great idea to bring the pecans as a snack. I ate half the bag. Merry Christmas from me, to you, to me! Anyway, these are stupid simple to make and amazing to keep around for dessert. You can also sub the pecans for other kinds of nuts. 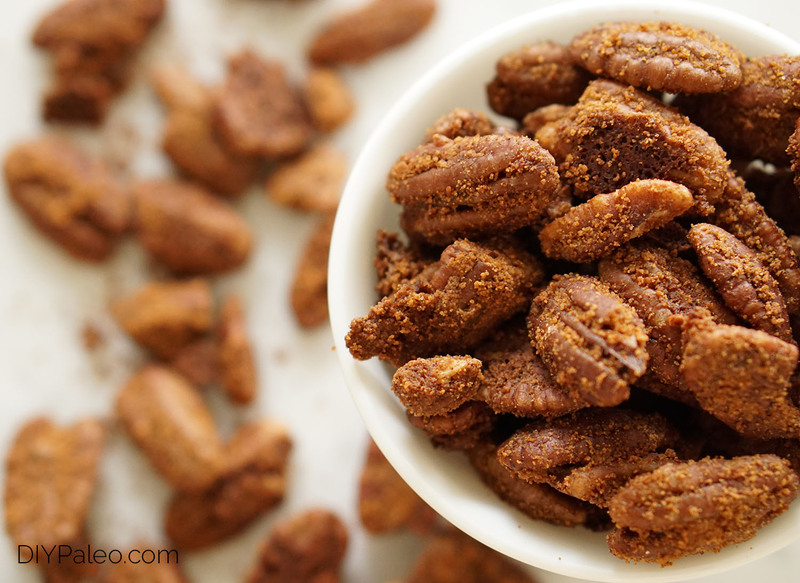 Pecans are a softer nut though, and they melt in your mouth when paired with coconut oil and cinnamon sugar. Good luck with your self-control. In a small bowl, mix the sugar, cinnamon and salt. Place pecans in a large mixing bowl, then pour the melted oil over the pecans. Stir until pecans are well coated. Slowly add cinnamon sugar mix while stirring to coat pecans again. Spread pecans in a single layer on a parchment paper-lined baking sheet. Bake for 10 minutes, or until sugar coating is crispy. Watch carefully to avoid burning! Pick up the parchment paper and transfer pecans to a cooling rack. Cool completely and store in the fridge.